Peronis. He gave me an expectant look, then stared at the goodies. Using a Pup-Peroni as an enticement, the technician lured him onto the scale. Fifty pounds! The poor guy was 40% overweight! I wish that were a noteworthy event, but about half of the dog and cat population is overweight. There’s a long list of health risks linked to obesity in dogs and cats, including heart disease, diabetes, respiratory disease, arthritis, ruptured ligaments, skin disorders, immune dysfunction, bladder stones and fatty liver disease in cats. Most pet owners are aware of at least some of those risks. What excuse could we pet owners possibly have to justify shortening our furry friend’s lifespan? Veterinarians hear a litany of rationalizations from pet owners when the digits on the scale surpass the previous year’s weight: It’s been too cold/hot to take him for walks; he pesters us for food so relentlessly that we give in; he’s always been fat; and my favorite: He’s not fat, he just needs to be groomed! Further examination of the clients’ feeding patterns usually reveals the culprits: too much food, too many treats, not enough exercise, and feeding from the table. Obesity research in people has exploded in the past decade, and many of the findings in the human field have also been found to be true for pets. It used to be thought that fat exists to provide energy storage, thermal insulation, and support and protection for organs. We now know that adipose tissue is metabolically active in both pets and people, and is actually the largest endocrine organ in the body. It’s an oxymoron, but there is actually lean adipose tissue, and the genes in that tissue are different from the genes in obese adipose tissue. The genes in properly functioning lean adipose tissue are fat-burning genes. When dogs and cats get fat, those “good” genes are down-regulated and become fat-storing genes. Is there a way to turn portly pets into fat-burning machines without having them act famished? 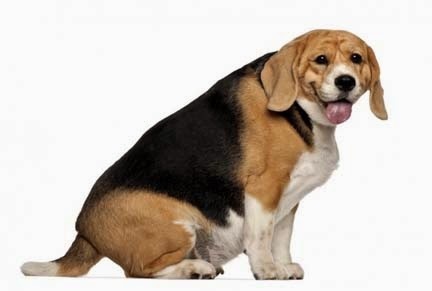 The good news is that feeding obese pets a weight-loss food can shift the metabolism to a lean genomic profile. However, weight loss alone doesn’t alter gene expression. It appears that the best results come from weight loss due to feeding diets with specific nutrient profiles. If that sounds familiar, it’s the reasoning behind the explosion of human diet books, each of which purports to have the panacea for weight loss. In my experience, most of the “weight loss” dog foods work fairly well. But they’re usually based on a model of added fiber and decreased calories, so in addition to creating the need for extra poop patrol in the yard, many of them do not satisfy dogs’ hunger. That’s why I was interested when the Hill’s representative recently gave us a lunch-and-learn about their new weight loss diet, Metabolic Advanced Weight Solution. By combining key nutrients such as fiber, carnitine, lysine and antioxidants — “a proprietary bundle of synergistically effective nutrients” — the new diet (which is sold in both dry and canned varieties) helps up-regulate the good fat burning genes and down-regulate those nasty fat-storing genes. During trials, 96% of dogs and 86% of cats lost weight in two months while maintaining gastrointestinal health and feeling satisfied. The food from Hill’s is relatively new, so the jury’s still out. But so far, the dog and cats in our practice who have been fed this food have lost weight, and their people seem to be pleased that the diet is regulating their pet’s appetite pretty well. So we’re cautiously optimistic; maybe there is hope, after all, for the “Humpreys” of the world! your purse or pocket. You’re ready to drive to the airport, but there’s one dreaded stop along the way: the boarding kennel. Some folks drop off their dog and don’t give him another thought until their vacation is over and they’re ready to pick him up. But most of us approach this handoff with a sense of unease and guilt. How will our dog survive without his evening walk? He’s used to sleeping on my bed -- will he be on a cold concrete floor? What if he won’t eat, or gets sick from all the other dogs? Recent years have seen the rise of a cottage industry that can help alleviate those fears: in-home boarding. Although this service has been around for years, people offering boarding in their home couldn’t afford to advertise it or buy space in the Yellow Pages. Now, with the advent of inexpensive Web sites, pet lovers have turned their passion into legitimate businesses. Occasionally I hear about pets who don’t mind being boarded. But think about it: Being cooped up in a run or cage without much human interaction can’t be pleasant. Some pets come home hoarse, bedraggled, or sick from an illness caught from another boarder. They would be far better off if they could follow their regular routines: eating schedules, bathroom breaks, and regular walks. Some people who offer home boarding are independent operators, but franchises and online home boarding placement services are taking a leading role in finding the best fit for your pet’s lodging. Perhaps the best-known Web service is DogVacay.com. Log onto the Web site, type in your city or Zip code, and a list of local “hosts” appears. Prospective customers can find out the boarding rate, what type of property it is, how large the outdoor area is, and how often the host is at home. There’s also a bio of the host, so you can find out more about the living situation and their experience and special skills. In spite of the moniker, some hosts accept cats, birds, and other pets. There’s such a variety of hosts and homes that it seems fairly easy to find a good match. Some hosts have multiple pets of their own – ideal if your pet likes to socialize -- while others are pet-free. Ditto for children. There are hosts who are single retirees in an apartment, and others with large families in a big house. Some of the accommodations have acres of land; others have small yards well suited for little dogs. Most of the hosts whose profiles I’ve read allow boarders to share their living space and sleep on comfortable beds or furniture — no cages. The caregivers’ experience with pets covers a broad range. Hosts include industry professionals, such as certified veterinary technicians, dog trainers, and professional pet sitters, but pet lovers with no formal training in the pet industry abound. 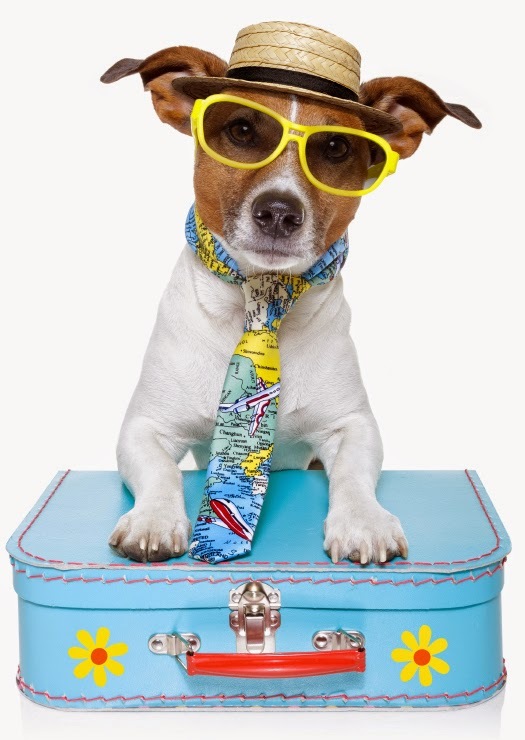 DogVacay offers a “5-step approval process” of its hosts, as well as online education, to help ensure competence. It’s essential to know as much as possible about who will be taking care of your pet; clients can schedule a meet-and-greet to vet a prospective host and can e-mail them with questions. In addition, each host on the DogVacay Web site has a gallery of pictures showcasing the house, yard, and resident pets. And in case you yearn for a glimpse of your baby while you’re gone, you can get updated photos on your smartphone every day! I really like the fact that boarders get free pet insurance, which gives you peace of mind if they get sick and need to visit the veterinarian. You’d think that with all those amenities, in-home boarding would come with a premium price tag. In fact, rates I saw ranged from $15 up to $100 for 24 hours, with most being less than a kennel would charge. To add to the site’s convenience, it has online scheduling and payment. Another home boarding service is franchise-based FlipFlip Dogs. They do things a bit differently from DogVaycay. A franchise representative comes to your home to discuss and observe your pup’s day-to-day routines for feeding and exercise. Then they match your pet with a suitable “companion family.” Their philosophy is that it’s easier on a dog to be picked up at home than to be dropped off by the owner and left behind. To that end, they provide door-to-door chauffeur-driven transportation. A great idea, but it looks like they have no franchisees in northern Illinois yet, whereas DogVaycay has dozens of host family choices. - How many years have they owned pets, and what kind of pets have they owned? · - How many and what type of pets do they own now? · - How many years have they been caring for other people’s pets? · - Do they have size or breed limits for their boarders? · - Can they deal with behavior problems, such as separation anxiety? · - Will they mix your pets with those from other families? If so, how do they make sure they’ll get along? · - Is there a yard? Is it fenced? · - Will they take your dog for walks, and, if so, will there be an extra charge? · - Is it a smoke-free environment? · - Will they accommodate special diets and make sure your pet can’t get into the other pets’ food? · - Is there 24/7 supervision? If not, how long will your pet be left alone? · - Do they offer a pickup and drop-off service? · - Is there emergency transportation to the vet in case of illness? · - What is their cancellation policy? · - Are they able to give oral medications, especially if your pet is hard to medicate? Is there a charge for this? · - If your pet needs injections, are they able to do that? How much do they charge per injection? · - Will your pet ever be confined to a cage? Finally, visit the home if at all possible, especially if the host hasn’t been approved by an online service. Sometimes a friend or family member is a great choice to take care of your pet when you’re out of town. But often they’re doing you a favor and have no vested interest in giving your best friend the best care. 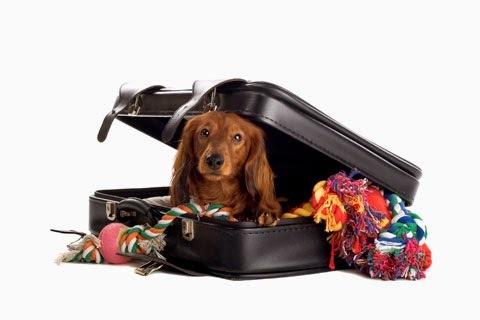 This bevy of home boarders seems like an excellent option, and a good way to avoid that feeling of owner’s remorse: While you’re gone, you know your pet will be having a fun vacation of his own! My husband and I were eating dinner one night when our daughter came home from work. “Are you hungry?” I asked her. She noticed that we were eating the same meal I had prepared the night before, a spicy Thai noodle dish that was one of her favorites, and said, “Thanks, but I’m in the mood for something different.” She heated up a veggie burger, piled on some avocados and tomatoes, and ate it with satisfaction. That encounter made me think about the variety of chow we feed our pets. I can have the same meal for a few days in a row and be happy. But what if I had to eat the same food over and over again, every day of my life? In veterinary school, we were told that if dogs and cats like their food, they’re content to eat it in perpetuity. I never really bought into that theory. In fact, I’ve often wondered: Could foraging in the garbage and eating rabbit poop in the back yard just be a quest for culinary diversity? My own dogs and cats have always been given a variety of food. And it turns out that what I’ve been doing all these years has become a hot idea with a trendy name. It’s called rotation feeding, and it’s thought to have several benefits. Because no dog or cat food is perfect, periodically changing foods might provide a wider array of nutrients than sticking to a single diet. Another consideration is contamination. We’ve all read about foods being recalled for dangerous molds, bacteria or mysteryingredients that cause harm or even kill. By changing brands, it’s possible that we can minimize exposure to those toxins. Rotating foods might also help prevent food allergies from developing. 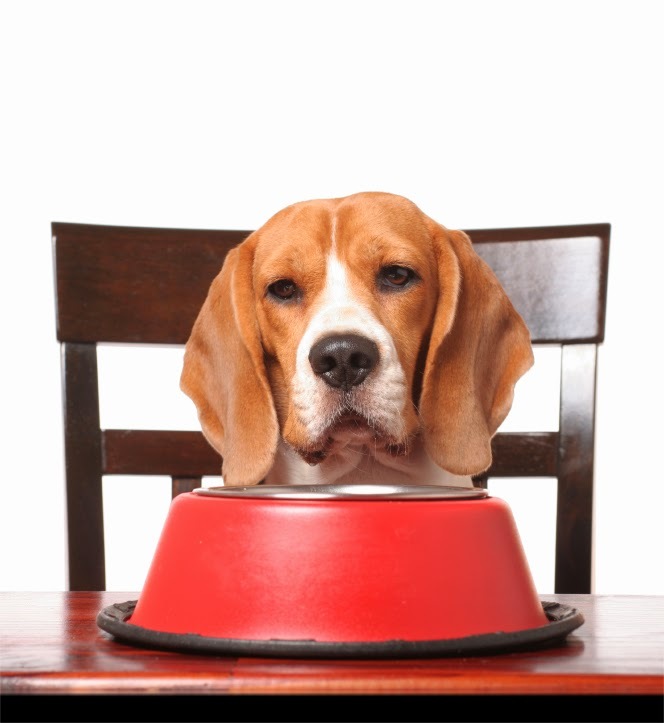 How you rotate a pet’s food depends on both the animal’s tolerance and your own creativity. Some owners regularly rotate among the various types of food: dry, canned, moist, dehydrated, fresh and frozen*. The protein source can also be varied (lamb, beef, chicken, fish, etc.). Some owners switch foods daily, some rotate weekly, and still others prefer to finish one bag of dry food before changing to another. One challenge I’ve run into is maintaining product freshness, so I buy the smallest bags of dry food possible and don’t have more than a couple of months’ worth on hand at any time. It’s usually much easier to begin feeding this way when your pet is young, although it can be done at any age with patience. Cats, in particular, often don’t adapt to wet foods if they haven’t been introduced to them very early in life. Another interesting observation I’ve made is that once a dog or cat has been eating the same food for years, their digestive tract might be intolerant to change. Avoiding GI upset is usually possible by introducing novel foods slowly. Mix a small amount of the new food into the old food and increase the proportion of new food over a week (or whatever you find is best for your pet). Don’t be discouraged if you try this and don’t succeed; some dogs and cats simply don’t tolerate menu changes at all. I’ve heard criticism that a rotating bill of fare creates picky eaters. In my experience, the opposite is true. If a pet rejects a new food, it doesn’t mean the pet is picky; it simply means he or she isn’t crazy about the new offering. Rotate among the foods you find your pet likes best to create an eager eater who looks forward to mealtime with excitement. After all, isn’t gustatory pleasure a big part of the enjoyment of life? I admit I might be attributing human characteristics to my pets, but this brand of anthropomorphism makes me feel like I’m doing something nice for them — whether it’s necessary or not! *Feeding raw food is discouraged based on documented cases of exposure of pets and humans to bacterial and viral contamination.